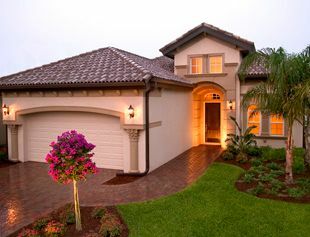 Make the Muirfield III your home this winter at Renaissance Golf and Countr..
4 Bd, 3.5 Ba 3,255 sq.ft. Located in Renaissance , the Jasmine II features 4 Bedroom, 3 1/2 Bath, Gre..
4 Bd, 3.5 Ba 2,809 sq.ft. Four Bedroom, Three & One Half Bath, Living Room, Family Room, Dining Room,..
4 Bd, 3.5 Ba 3,237 sq.ft. Four Bedroom, Three & One Half Bath, Grand Room, Dining Room, Study, Outdoo..
4 Bd, 3.5 Ba 3,080 sq.ft. Three Bedroom, Three & One Half Bath, Great Room, Dining Room, Study, Cover..
3 Bd, 3.5 Ba 2,913 sq.ft. Four Bedroom, Three & One Half Bath, Living Room, Dining Room, Family Room,..
4 Bd, 3.5 Ba 2,873 sq.ft. Three Bedroom, Two & One Half Bath, Great Room, Dining Room, Study, Covered..
Four Bedroom, Three & One Half Bath, Great Room, Dining Room, Study, Outdoo..
4 Bd, 3.5 Ba 2,600 sq.ft. 3 Bedroom, 2 Bath, Great Room, Dining Room, Study, Screened Covered Lanai, ..
3 Bd, 2 Ba 2,062 sq.ft. Move to The Plantation this May!. This Pinnacle home with a pool and spa fe..
3 Bd, 3 Ba 2,488 sq.ft. As of today, April 26, 2019 the average home price for homes for sale in Mcgregor is $364,410. Search new homes for sale in Mcgregor! If you are looking to buy brand new homes for sale in Mcgregor - browse floor plans, view photos, models, and pricing. You can also see new construction homes in Mcgregor and request an appointment or more information about a specific new home.